Trade shows held in the US generated revenues of $12.8 billion in 2016 and $13.2 billion in 2017. These revenues were mostly from registrations and exhibit sales. This stat proves how powerful trade shows are as a legit B2B strategy. 68% of exhibitors were confident that their trade show participation will achieve more positive results in 2018 than 2017. 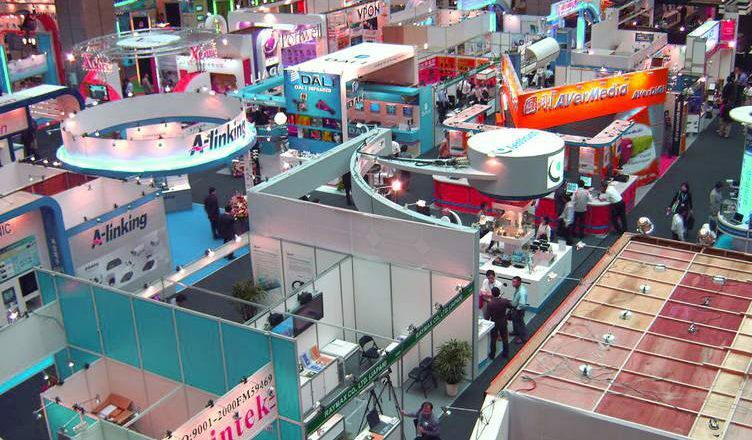 Are you confident of trade show success like the 68%? The following tradeshow marketing tips will ensure that your booth has more visitors, helping your business gain more visibility and leads. Use direct mails, emails or calls to get in touch with existing customers and prospects. Provide them details about your booth and what they can expect there. Most organizers will have a list of registered attendees they can share if you buy a booth. Grab this list and get in touch with the expected attendees. Make sure they are aware about your presence before their visit to the trade show. Ensure that followers on Facebook and Twitter are aware about your participation. A photo contest will make sure that followers actively and willingly become a part of your trade show efforts. Offer special discounts or freebies to people who you contacted prior to the show. It’ll serve as an incentive, giving them an extra reason to stop by your booth. Let an expert at your company sign up to talk about topics he/she is comfortable with at the trade show. This will help to position your business as a thought leader, making it easier for attendees to identify with you. If they like the insights shared by your team, then they will definitely visit your booth. Impress passerby by having young, presentable and dynamic people at your booth. They should sport smiling faces with an eager-to-help look. Don’t cramp your booth with lots of tables and displays. A spacious and eye-catching booth will help to draw in passerby, allowing them to experience your offerings without fighting for space. You can manage your booth’s space better by using appropriate signage that explains things quickly to entice passerby. Most attendees spend a couple of hours at a trade show. They will probably need to charge their cell phones or tablets. Providing a charging station will ensure that passerby walk in and make use of the facility. What’s more, there is high possibility they will show an interest in your offerings. Bolster your efforts with useful trade show giveaways from our inventory. Give them away to gain renewed respect from attendees. You could also ask us for more tradeshow marketing tips and we’ll gladly be of help!